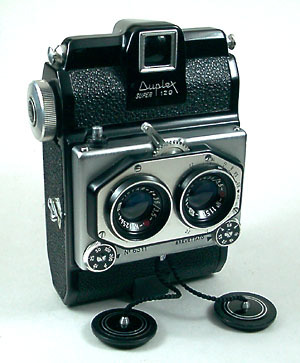 In 1947, the Industoria Scientifica Ottica of Milan announced the model named "Lux" and started the production of the 35mm camera. 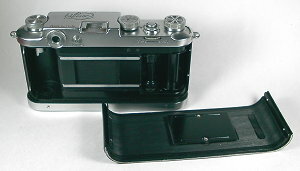 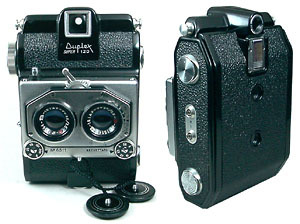 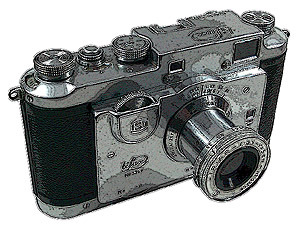 After the "Lux", this "Bilux" camera was revised large in 1950. 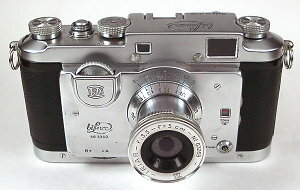 Although even this camera is treated as the "Leica Copies", but it's equipped with various functions. 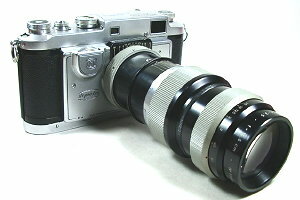 The lens named "Iriar" 50mm F3.5 was made by own company and it's the "Elmar" type. 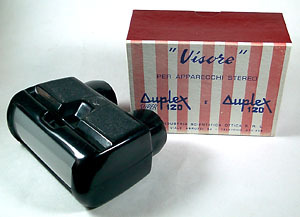 However, the diaphragm ring is in the outside, so be handy. 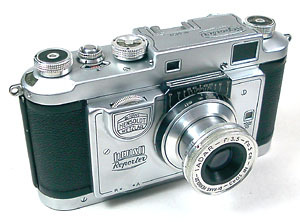 The biggest characteristic of this camera is the system that be equipped with the trigger lever. 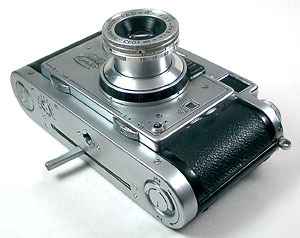 Also, even the finder is devised and this is able to exchange every the lens. 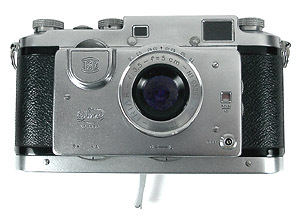 This camera was changed a small in 1953 and was named "Reporter". 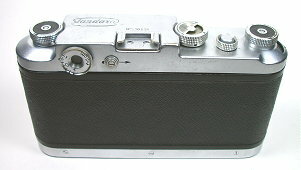 And even the name called "Henso Reporter" was sold by the demand from the "Hensoldt" company of Germany. 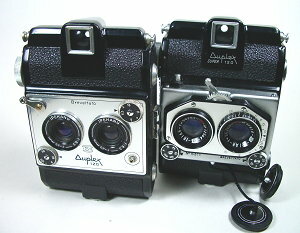 The ARGON 5cm F1.9 or IRIAR 5cm F2.8 or IADAR 5cm F3.5 were kept to these cameras. 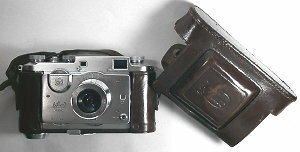 The ARGON (AGULAR) 8cm F2.5, the IRIAR 8cm F4.5,and the IRIAR 12.5cm F3.5 were prepared as the interchangeable lens. 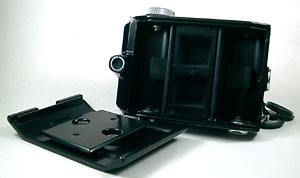 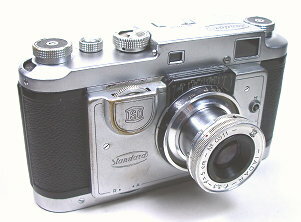 The model that omitted the trigger lever from this camera is the "Standard". 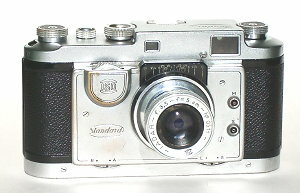 The "Standerd" was disclosed as "Junior" in 1952.